FiveLac is a lemon-flavored, nutrition food supplement composed of Five Live Bacteria: Bacillus coagulans, acillus subtilis, Enterococcus faecalis, Lactobacillus acidophilus and Vifidobacterium longum. Additionally, FIVELAC contains fiber, yeast (as food for the Bacteria), and vitamins, all added to support your daily health and Wellness needs. FIVELAC is recommended not only for the maintenance of your daily health, but also to help address the digestion of those whose normal meals tend to be irregular and off-balance. With the development of FiveLac the question arises, is FiveLac better than ThreeLac? The answer is complicated. 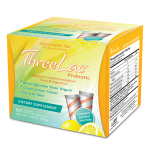 ThreeLac is the revolutionary supplement providing temporary relief from yeast and fungus overgrowth. 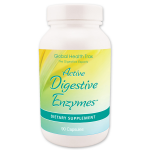 It uses three live bacteria: Bacillus Coagulans, Bacillus Subtilis, and Enterococcus Faecalis and is successful for millions of customers worldwide. FiveLac is a more powerful and enhanced formulation for relief from yeast and fungus overgrowth. What's the improvement? GHT has added two additional probiotic strains to its formula. The addition of the two new strains of probiotics in no way takes away from the original formula's effectiveness. We have only enhanced an already great product. Through research and development GHT discovered that there was an area for improvement in ThreeLac. Rather than compromise Threelac's formula and change the product that countless satisfied customers have come to know, GHT developed something new and potentially better. FiveLac has two additional live bacteria that make its formula even more effective against yeast and fungus overgrowth. 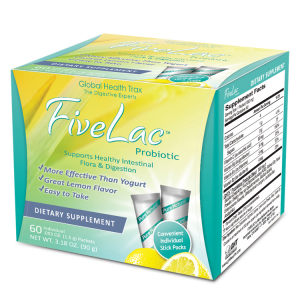 FiveLac combines the three live bacteria in ThreeLac with Lactobacillus Acidophilus (improves gastrointestinal function) and Bifidobacterium Longum (blocks the growth of harmful bacteria) ultimately providing the best defense against yeast overgrowth. 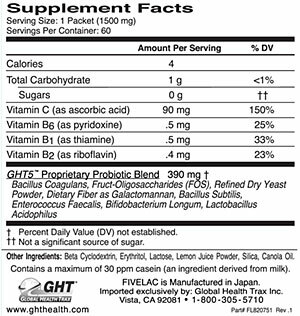 FiveLac also contains fiber, yeast (as food for bacteria), and vitamins, to support additional daily health and wellness needs. FiveLac helps to provide ideal intestinal micro-flora. FiveLac: Provides temporary relief from occasional yeast and fungus overgrowth - Helps maintain intestinal micro-flora. Take one packet a day to start. 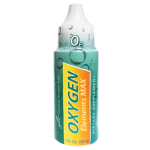 Empty the packet contents into your mouth and follow with a few ounces of water. Or add powder to a few ounces of water and drink. If additional support is desired, you may build gradually to a higher number of packets for the first 60 days. Amount needed may vary from person to person. Packets may be taken at any time of day, with or without meals. After 60 days, you may reduce to maintenance of 1 packet per day, as desired. Store in a cool, dry location. Do not store in an area that will reach above 120 degrees Fahrenheit or in direct sunlight. Freezing or refrigeration is neither recommended nor required. Use individual packets within 24 hours of opening. Discontinue use for 1 week after each 3 months of use. Flora Five is suggested for use during this 1 week period.